With number of employees in solapur factory Superia Exports is developing and producing textiles home products. From our corporate design headquarters in Mumbai. we have built a strong and agile sourcing arm that allows us to be first to market with new and innovative technology and technique. We develop collections with a keen knowledge of what our community of buyer’s desire, and a deep understanding of what our consumers shop for. The strong relationships we have with our brands and allow us to work closely and strategically to create unique collaborations and to build meaningful branded programs that truly resonate with consumers. 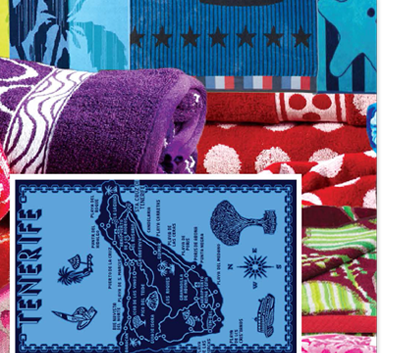 Beautiful, terry woven beach towel with fresh & stock jacquard vintage designs. These fine, yarn-dyed jacquard designs will impress your customer with the look and feel of the best quality towels. We have a limited number of these beautiful striped Cabana Towels that are perfect for use in a spa, tub room or pool areas. Made from 1 00% ringspun cotton and with a woven stripe. This towel will provide both comfort and durability. 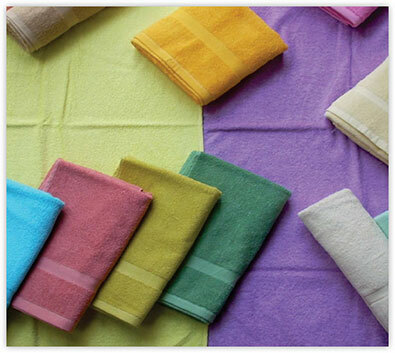 We offer a wide range of premium pastel Towels to our valued client. Jacquard Pastel Towels are made from 1 00% ringspun cotton for a soft and luxurious feel coupled with high absorbency levels. Custom Woven Towels will weave your logo or custom design right into the lowest & highest quality promotional towel available. Our promotional towels are great for corporate branding and events, corporate gifts, new product promotions, hotels, bed and breakfasts, country clubs, gift shops and surf shops. For that extra soft feel, choose a velour finish for your custom promotional towel. Classic Living Trax Plain Dyed Towel range is a simple yet elegant design, created with a various inspired border, a luxury soft touch towel ideal for the everyday use. These Classic Living towels can be make in buyers pantone colours also. 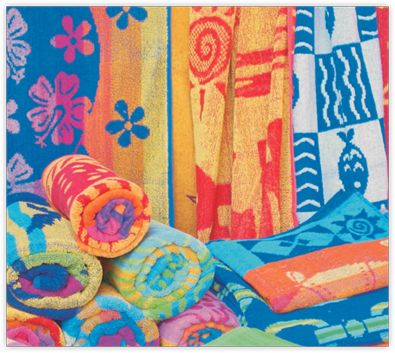 If you would like to create an eye-catching design and print it on a beach towel, you can consider rotary flat belt printed towels in which colors stay the same after many washes. You can put your logo, photo or any drawing on it. All Ashok International printed towels are made of 100% cotton because we believe that only natural is good enough for your skin. 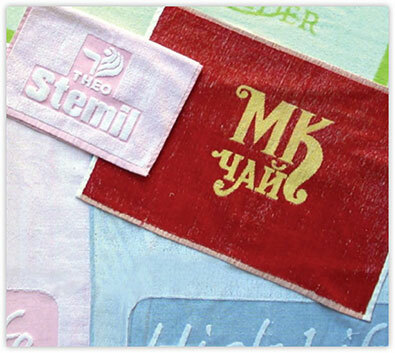 PRINTED TERRY TOWEL reactive printing is suitable for most creative images. 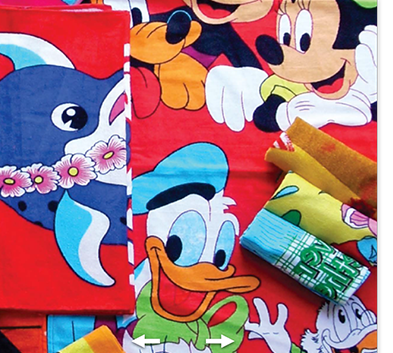 Since terry fabric is highly absorbent, these towels are most likely to be used on the beach, at the swimming pool, in sports where we are in contact with water or sweat. Kitchen Towels provide a kitchen essential for cleaning the counter tops, washing your hands, or drying clean dishes. The practical items also add color and texture to a room filled with neutral hard surfaces. 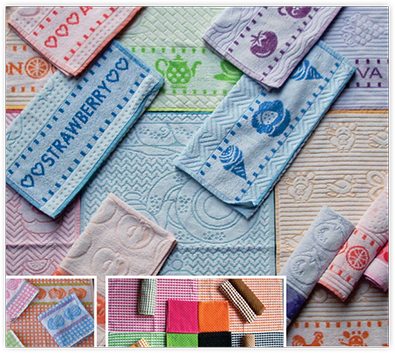 Available in endless colors and patterns with embroidery & printing which Kitchen Towels add style to your space. are soft as velvet on the side where the cotton loops have been sheared and have a very good image resolution with precise print. The other side of the towel is always has the normal terry loops for good absorption, embroidery & printing which Kitchen Towels add style to your space.